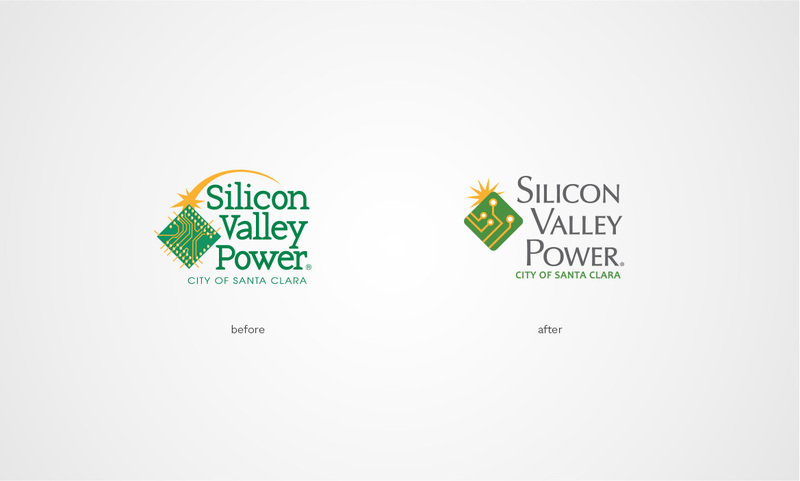 Silicon Valley Power is the not-for-profit electric municipal utility of Santa Clara, CA serving residents and businesses for over 100 years. 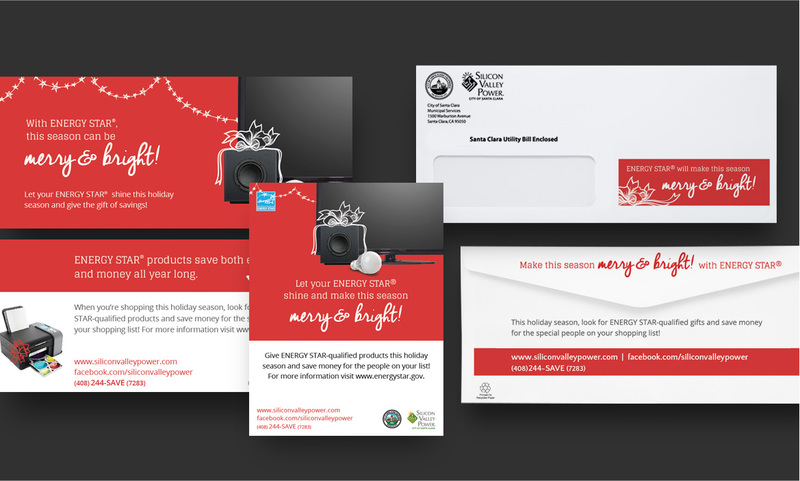 In 2011, SVP was looking for a new agency to help them rebrand and jump-start their marketing outreach to both their residential and commercial customers. After working with another agency for years, SVP was looking for a fresh start, and was in need of some new creative energy. SVP selected dystrick design to be their agency of record back in 2011 and for 6+ years have depended on dystrick for all of their advertising and marketing initiatives. This included rebranding SVP with a new logo and guidelines, plus advertising for television, publications, movie theaters and more. dystrick also handles SVP’s marketing collateral systems, brochures, handouts and a slew of other marketing initiatives. 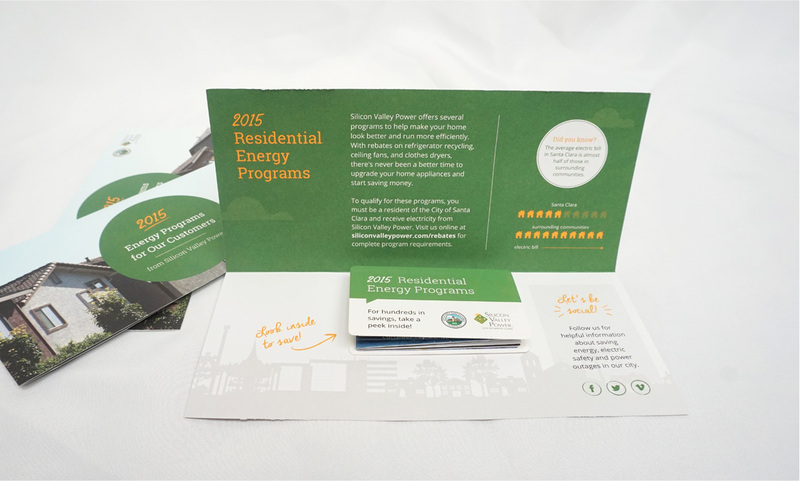 Below is just a handful of projects we did for SVP. If you’re interested, contact us to learn more. We refreshed the SVP logo and brand to a modern look and feel. 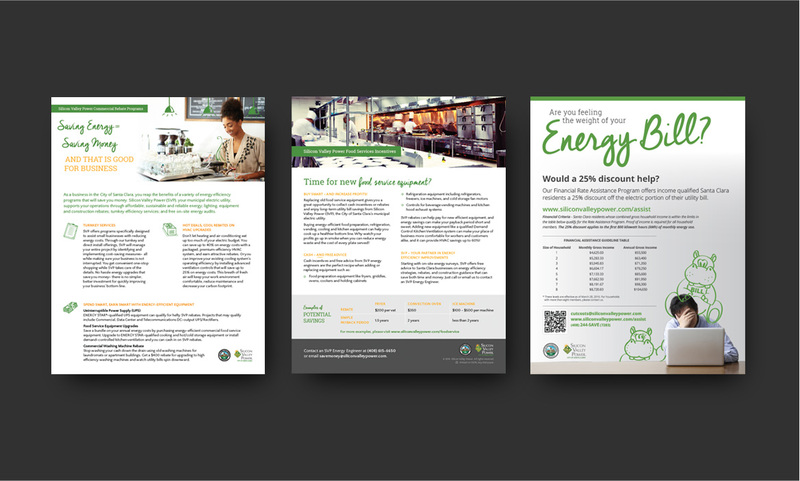 We refreshed their print collateral systems for both residential and businesses. We always pushed the envelope, introducing new print systems and unique folds. 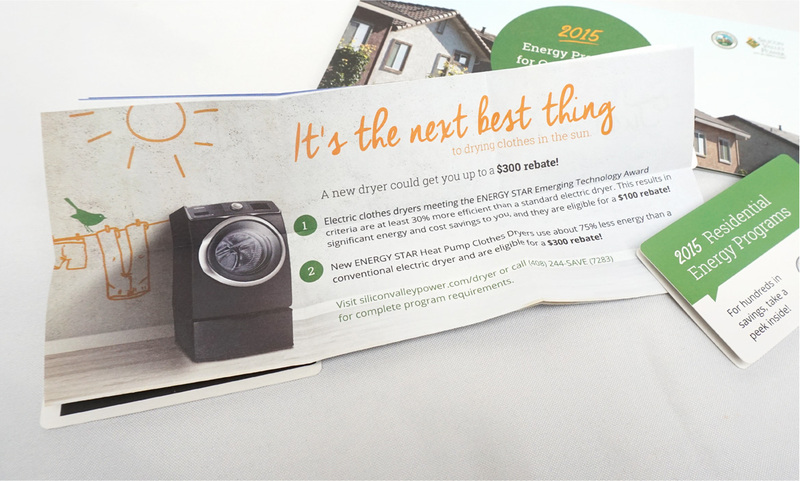 We updated their customer outreach programs month-to-month with new ad inserts and envelopes. 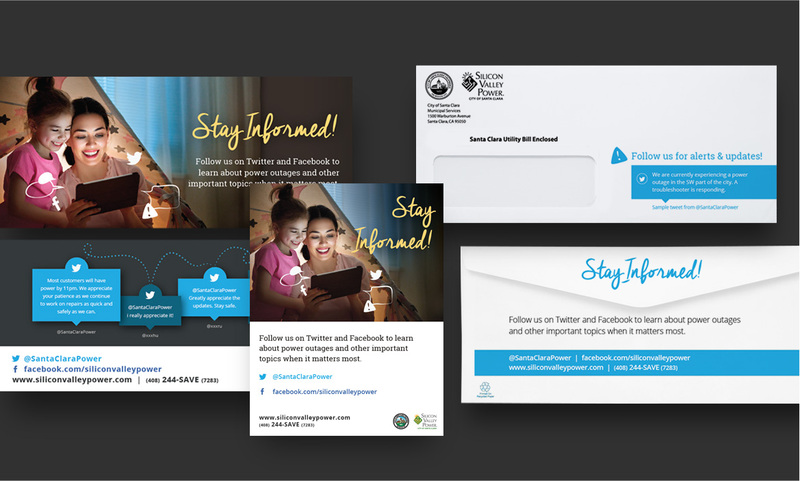 The creative campaigns often mixed stock photography with custom illustrations and type. 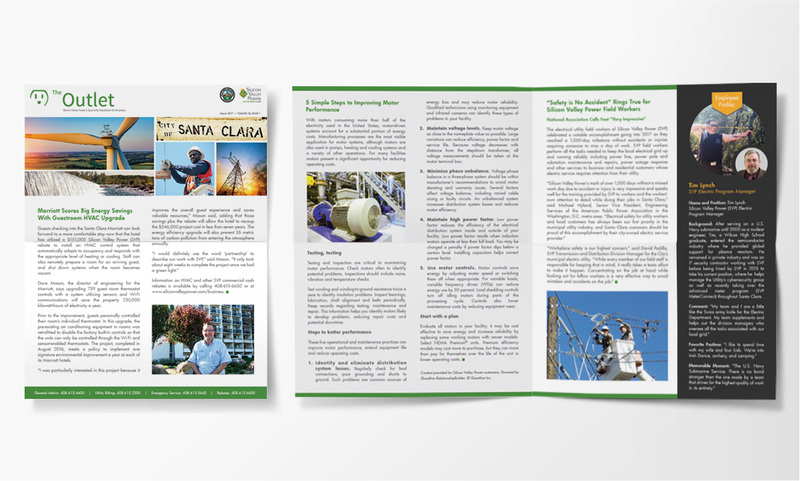 A complete revamp of their commercial newsletter template kept the brand clean and modern. 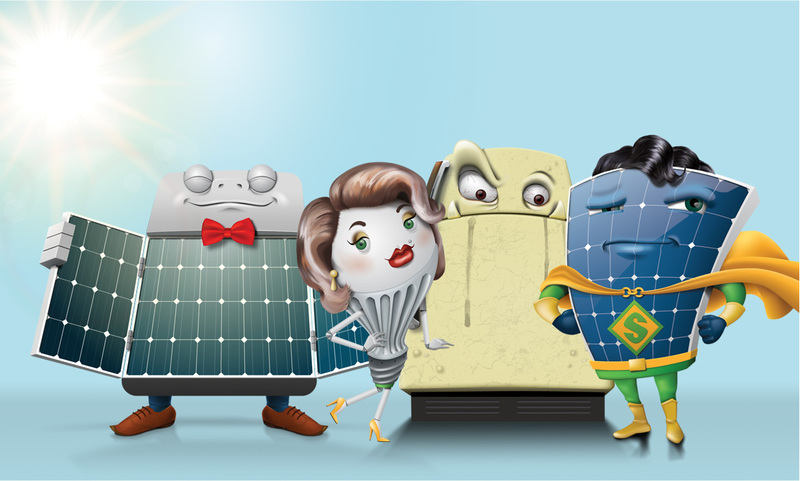 Fun appliance characters were designed and used in ads and bill inserts. 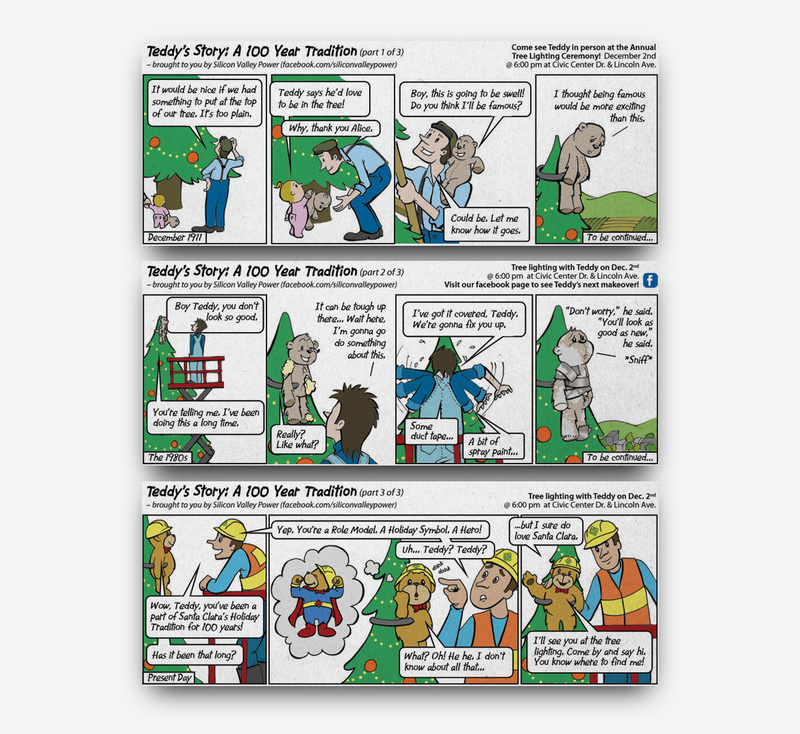 A special comic strip series was written and illustrated to celebrate the 100th anniversary of Teddy. “Thank you so much for all the work and effort that your team puts in with every project we come to you with. You guys never disappoint."